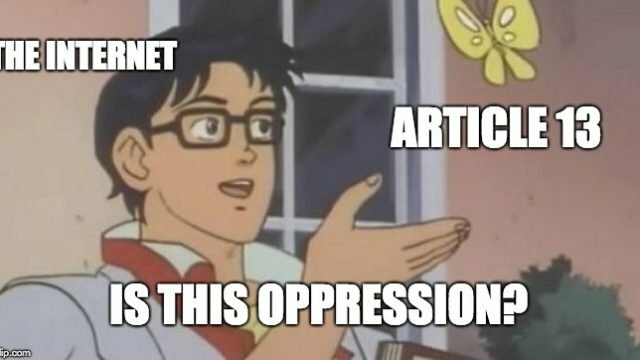 As you read this, our EU cousins of the internet are mumbling “God save our gracious memes” as the lawmakers of the problematic union have enforced Article 13, which some have colloquially labelled the ‘meme ban’. Ostensibly two large copyright law clauses (who have been oft-criticised) have been voted in: Article 11, that states that search engines and news aggregate platforms should pay to use links from news websites and Article 13, that holds larger technology companies responsible for material posted without a copyright licence. Tech companies already remove music and videos which are copyrighted, but under the new laws, they will be more liable for any copyrighted content. Those who supported the law did so in the name of making sure creators of content are justly compensated for their creative originals. Which is all very well and good, but the critics of the measures have speculated that the currency of our age, the meme, will be severely impacted, as they rely on copyrighted material. The meaning of the meme, of course, is subjectivity on an unrelated foundation. 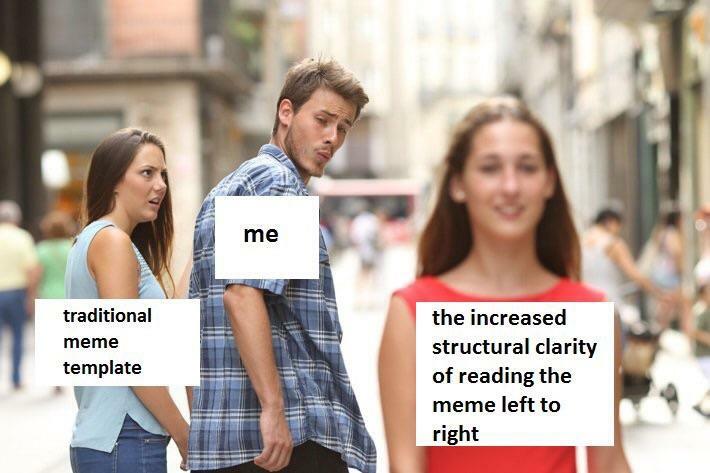 Take the distracted boyfriend meme for example. The original image belonged to Shutterstock, but it quickly twisted beyond the purpose of the original image. There’s a lot of copyright infringement there. The original GQ interview, the 2003 conference announcing Saddam Hussein’s capture and Breakbot’s song – ‘Baby I’m Yours’. 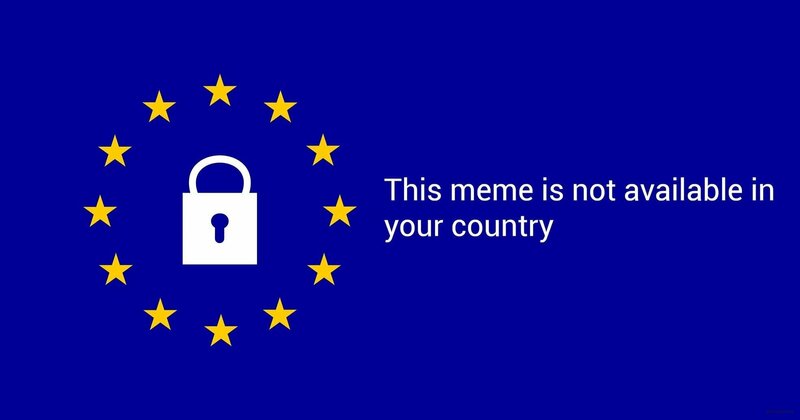 The control is the sticking point, while the European Parliament has said that memes would be “specifically excluded” from the new laws, it isn’t clear how the tech goliaths are going to be able to police it. After all, what constitutes a copyright breach versus what constitutes meme-based parody based on a copyrighted image? Clearly, a blanket filter would be the easier, cheaper, more sensible way from a business perspective, but is that not just another layer of impinging free speech? In the Jordan Peterson meme example above, surely those in control will consider it more infringement than parody, but the question is, who is setting the rules for the enforcers? That we do not know. In conversation with the BBC, Kathy Berry, senior lawyer at Linklaters, said more detail was required about how the law will be enforced exactly, “…while Article 13 may have noble aims, in its current form it functions as little more than a set of ideals, with very little guidance on exactly which service providers will be caught by it or what steps will be sufficient to comply,” she said. So, while the meme is certainly not dead, and seeing artists finally recouped for their creations is a fine thing; the elasticity is the sticking point. An official ruling which gives the powers that be enough wiggle room to subjectivise it is a particularly grim piece of mental cardio.